About a half hours drive outside the bustling town of Kurnool in Andhra Pradesh is the village of Bollavaram. In an area where agriculture is the main form of income, a group of the farmers here is learning how organic farming techniques can lower their expenses and increase their profits through a National Rural Livelihood Mission (NRLM) project. In partnership with the NRLM, Digital Green is helping to train Community Resource People in video recording and facilitated screenings, so they can build the capacity of farmers to pull themselves out of poverty. Through the project, the Community Resource People work with local smallholder farmers to produce videos on agricultural techniques and best practices for getting the most yield out of the locally grown crops. 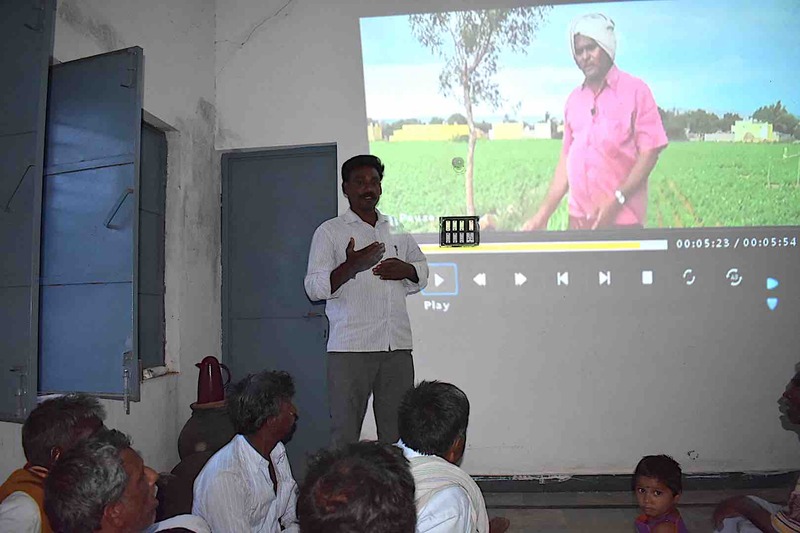 The videos are then screened to groups of farmers, during which questions and dialogue are encouraged. The Community Resource People then follow up with the farmers to see how they are implementing those techniques and the results the farmers see. Farmers like Invi Krishna are reaping the benefits of this project. At first, Krishna was not interested in organic farming. Krishna’s family farmed land in Bollavaram for generations. His father was the exception. He became a teacher, but Krishna and his brother decided they would return to farming the family’s eight acres of land to support their families. Two years ago, Krishna saw that one of his neighbors started farming organically and was saving money. 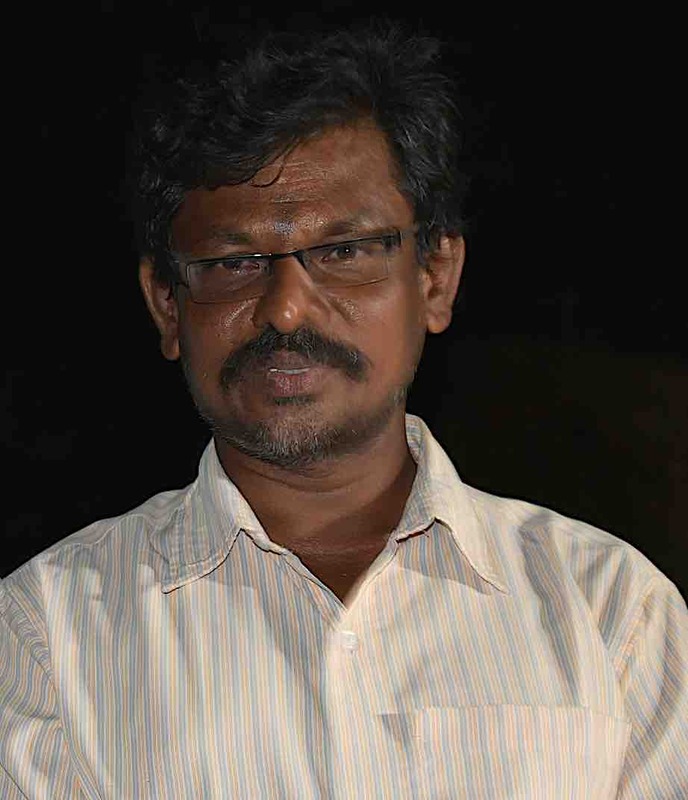 He began attending a few workshops and meetings on the organic farming. Then, he started to attend the group screenings of the videos shown by the Community Resource Person on the farming practices. “These videos help us to do more and more. If someone tells you how to do something, you hear it, but you don’t always take it in,” explains Krishna. During the screening, he realized that he owned a cow, so the cow dung and urine used to make the organic pesticide and fertilizer would be free, so he began to slowly incorporate what he learned into his farming practices. Krishna applied the lessons he learned in the videos on how to prepare and apply natural pesticide supplements to his rice and maize. The cow dung and urine and a few other ingredients are mixed, dried, made into flakes and then applied to the soil before sowing. The mixture is reapplied when insects are spotted in the crops. Since using this method, Krishna’s costs for pesticides have gone down. There is a nominal amount of investment for a few natural ingredients, such as cane sugar to enhance fermentation. Krishna realized that when he was applying the chemicals pesticides, he would get seven to eight quintals per $.40 invested. Using the natural method, he would get 10 quintals per $.40 investment. Now, he uses thi s organic pesticide on all his crops. He also continues to attend the video screenings to learn new methods.